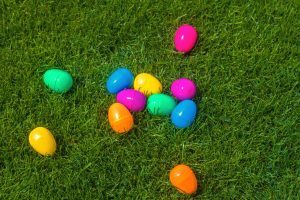 Easter is almost here and egg hunts are popping up all over town. Grab the kids and celebrate the holiday with games, activities and fun for the entire family. We’re on the hunt for perfect Easter happenings around San Diego. Celebrate Easter on a luxury yacht, cruising around the San Diego Bay. Sip complimentary mimosas and indulge on gourmet brunch while taking in the beauty of the San Diego skyline. Your experience includes complimentary boarding champagne and unlimited mimosas, gourmet brunch buffet, live musical entertainment, and 25 miles of beautiful downtown San Diego scenery. Spend the day at Belmont Park for their 7th annual Easter Bash! From the park to the boardwalk, enjoy egg hunts, free activities for children, a free Easter bunny photo op, live music, entertainment and free parking! Indulge in brunch on the boardwalk at your favorite beachfront restaurants. Hop on over to the Firefly Eatery & Bar at our sister property, The Dana on Mission Bay and celebrate Easter! They will be serving up their annual Easter Brunch complete with brioche french toast, buttermilk pancakes, roast beef & ham carving stations, assorted pastries, omelet station, pasta station, bloody marys, mimosas and SO MUCH MORE! Every year, Days Inn holds their own Easter Egg hunt for Days Inn employees. Managers hide eggs around the hotel for employees to find, and prizes are handed out to the employee who finds the most eggs! Also, look out for our ‘Jelly Bean Guess’ at the front desk during the entire month of April. Details to come!